WASHINGTON (Sputnik) - Dr. Ronny Jackson said in a statement on Thursday that he has withdrawn from consideration as Trump's nominee for Veterans Affairs Secretary. "While I will forever be grateful for the trust and confidence President Trump has placed in me by giving me this opportunity, I am regretfully withdrawing my nomination to be Secretary for the Department of Veterans Affairs," the statement said. 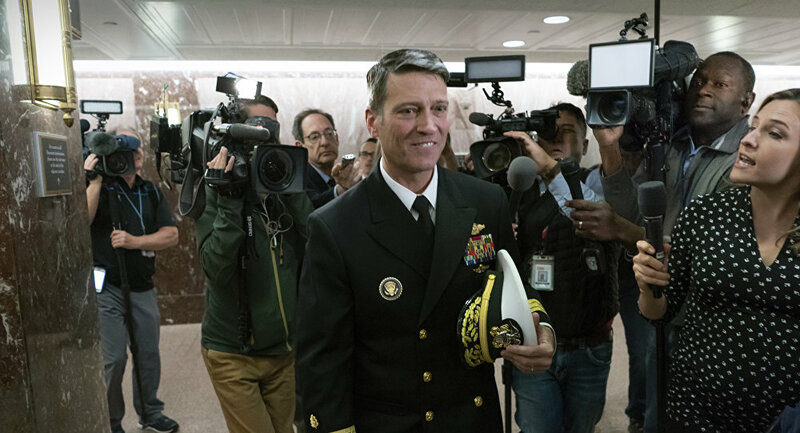 Jackson has called the allegations against him "completely false and fabricated," saying that he would not have served as the physician for three presidents if they were true. The false allegations are a distraction to Trump and from the issue of how to give Veterans the best care, Jackson added. Commenting on the accusations, US President Donald Trump has also called them false. He blamed Montana Democratic Sen. Jon Tester, whose office issued a hard-hitting report Wednesday about the work of Jackson, adding that the senator "has to pay a big price to pay in Montana". It is also reported, that Jackson will remain White House doctor. This Wednesday the NYT published the allegations of the Democratic staff of the Senate Veterans' Affairs Committee, which accused Jackson of careless drug prescription and drunken behavior, including "wrecking a government vehicle". Jackson strongly denied those allegations. Trump's first Veterans Affairs Secretary, David Shulkin, was dismissed after an ethics scandal and rebellion within the agency. The US President nominated his personal doctor Ronny Jackson as the new secretary of the department, but Jackson immediately faced numerous questions from lawmakers groups about his ability to manage the department of 360,000 employees serving 9 million veterans.